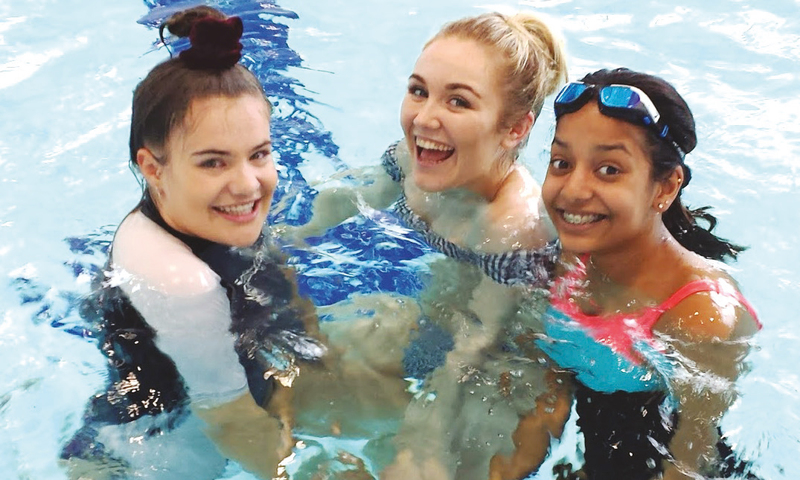 Students and teachers of our school, from beginning to advanced, gather every year for a summer training. The training is open to anyone. 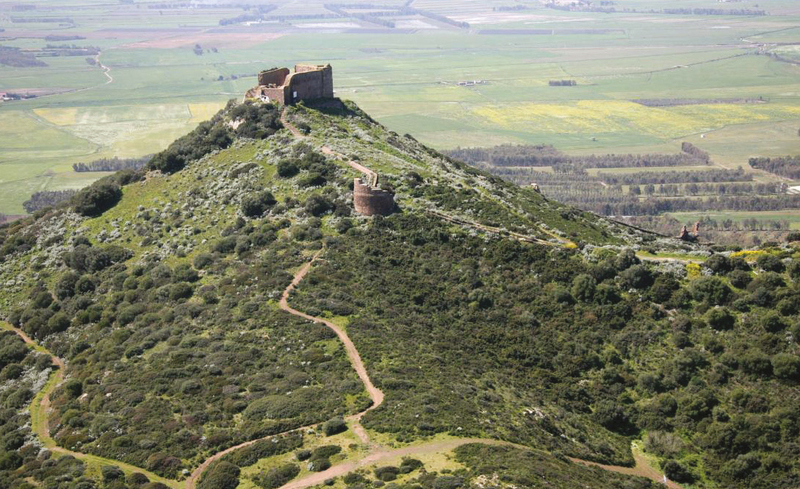 In 2019 we will have our summer training in Sardinia. For more info go to: https://www.londontaichi.org/summer-holiday/ Or download the flyer. Check taichituning.com for more info, precise instructions on how to do the exercises and how to sign up. 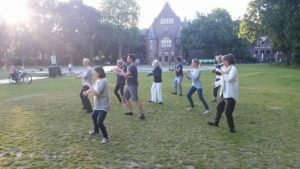 Starting Wednesday 10th of July there will be free Tai Chi sessions in the Oosterpark from 19:30 – 20:45. We gather at the Music Dome. Anyone can join but these are not regular classes but guided practice sessions. The sessions will run until the end of August. Only in case of very bad weather conditions there will be no practice. 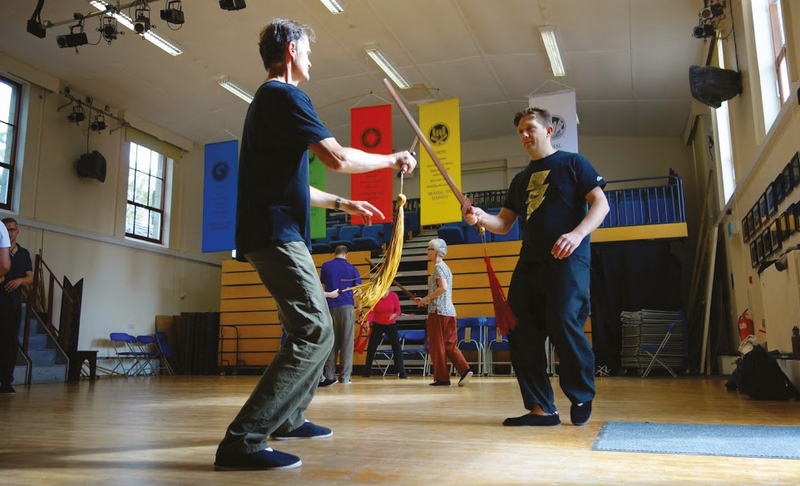 If you would like to offer people of your organisation or just a group of friends a T’ai Chi workshop we will happily organize that for you. It’s a great way to empty the head and get into the body and also to connect with and learn about both yourself and your collegues or friends. 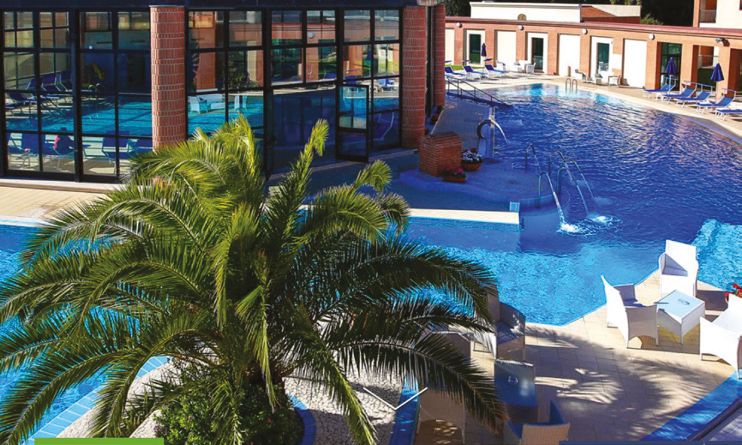 Experience has taught us that even working for just an hour or so with a group can bring about a quality and level of relaxation that most people have not known before. The workshop can be taught in our own location on the Kerkstraat in Amsterdam, in a public open space or any location to your liking. Recently we have organized these kind of sessions for LinkedIn, Dolby int, Nissan, the Nederlandse Bank, Randstad Holding and for Euro Tank. You can reach us at info@taichichuan.nl and we’ll be in touch.